Josie is successfully initiating many students into the world of dance. A graduate of York University, Toronto with a Bachelor's Degree in Dance, Josie's extensive training includes ballet, jazz, modern, Latin & ballroom dance. 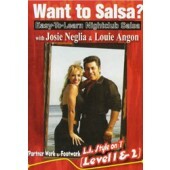 Now residing in Los Angeles, Josie has become well recognized as a Salsa expert and has produced seven instructional videos. Through these videos she has become recognized for her easy-to- learn teaching methods and spectacular performance ability. Josie was invited to teach at The World Salsa Congress in Puerto Rico, Salsa Festivals in Japan and is asked to do workshops in various cities across the Globe. 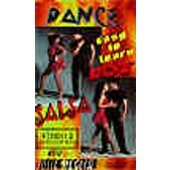 Josie Neglia was also a feature dancer in the movie "DANCE WITH ME" with Vanessa Williams & Chayanne. Josie teaches on1 and all Josie's dance products are available on Zone Free DVD.